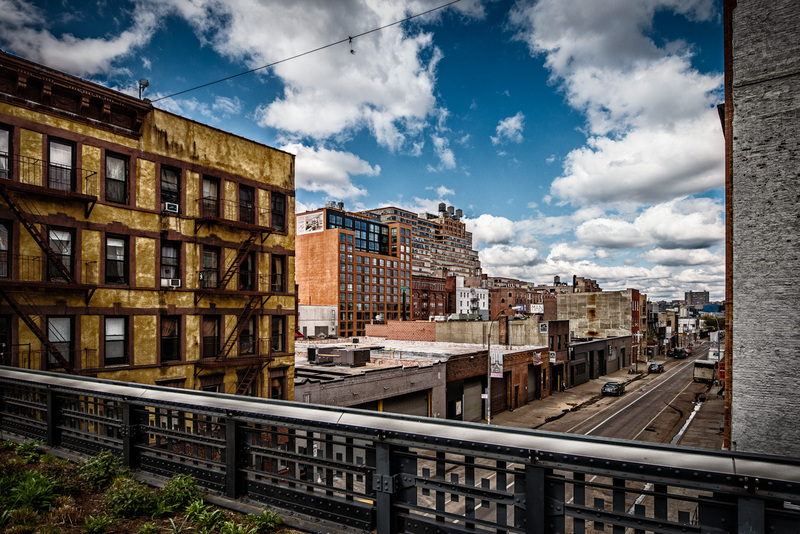 The High Line is a linear park in New York City. 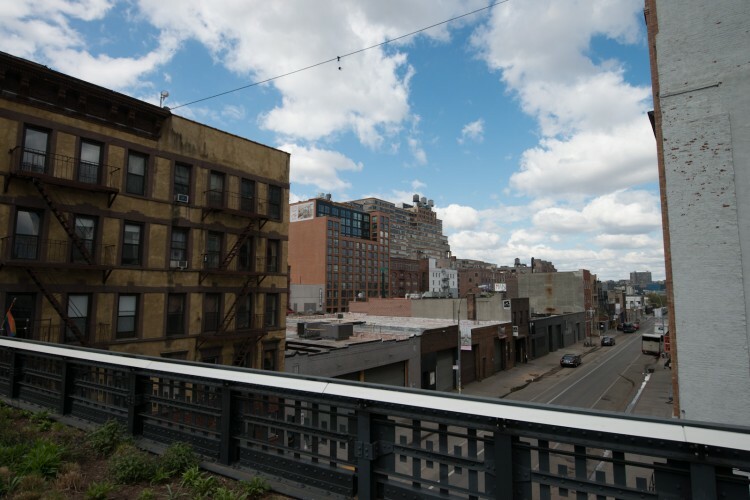 It was created from an old elevated train line which was used to service the warehouse and meatpacking areas of Manhattan. A couple of years ago a major effort was undertaken to convert the blighted rail line into something nicer. The result is a long, narrow stretch of parkway which gives the visitor a great view of the lower West Side of Manhattan. More details can be found on the park’s web site: www.thehighline.org. My favorite part of the High Line was being able to walk amongst some great old buildings with great character. I also enjoyed the slightly elevated view of the city which is available from the park. If you get a chance to go to New York, I definitely recommend a visit. When I processed the image, I wanted to make sure the final image captured the age and detail of the buildings. I did some initial work in Lightroom and then took the image into Photoshop. There, I used the Free Transform tool to do some perspective correction. Someday I’ll have to learn how to use the new ‘Adaptive Wide Angle’ filter, but I still haven’t gotten the hang of it. I used a couple of filters from Color Efex Pro 4 and then tried a black and white conversion in Silver Efex Pro 2. Back in Photoshop, I reduced the opacity of the black and white layer to 55% and changed the blend mode to luminosity. This gave a slight color shift to the image and also created a bit of the vignette. Back in Lightroom, I added a bit more vignette with the Post Crop Vignette tool. Love the processing and the composition James. The lines really draw the eye. A pity I didn’t make it to this famous park during my recent visit to New York. Your work in transforming the original is just so tasteful, James. Very good job on the processing man!